Kuala Lumpur, July 2017 – Princess Hours (Thai Version) Press Conference in Malaysia was held yesterday (8th July 2017). 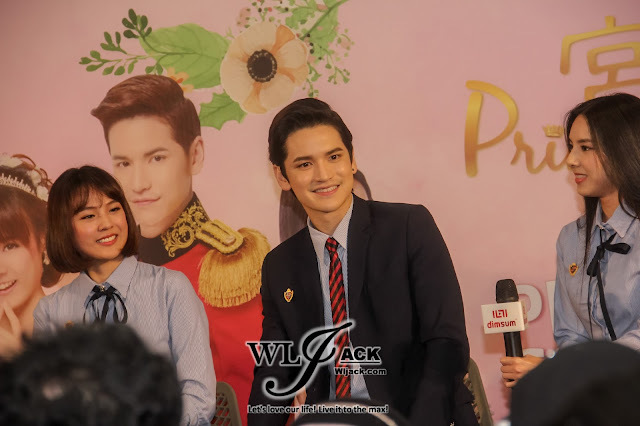 During the press conference, all 4 main casts Prince Tao Sattaphong Phiangphor, Princess Pattie Ungsumalynn Sirapatsakmetha, Phan Stephane Saisean Pagniez and Bebe Thanchanok Ritnaka were here to meet and greet with the media members. 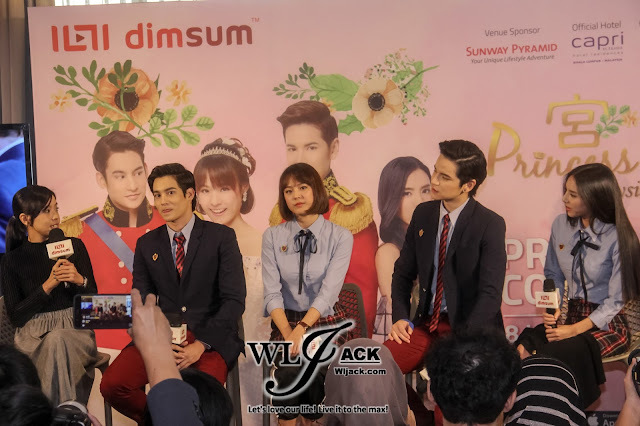 Thanks to dimsum, our team from wljack.com were given a chance to do a coverage on the press conference of Princess Hours in Malaysia. 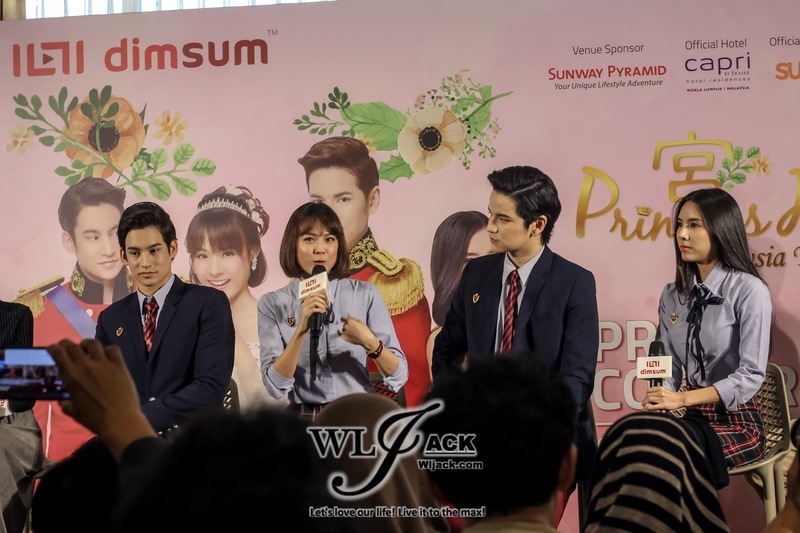 The casts have expressed their excitement and delight to be able to work with each other for the first time in this drama. 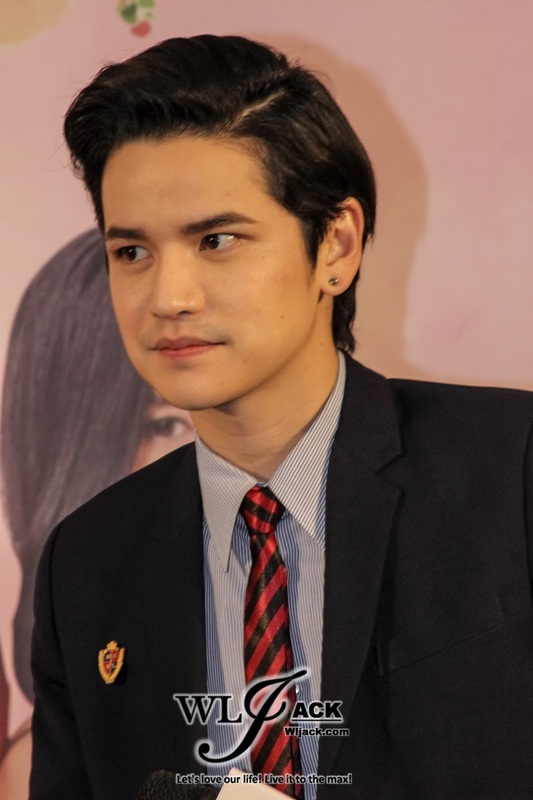 Tao Sattaphong Phiangphor mentioned that this was his first leading role and he was happy to work with other more established casts in the show. 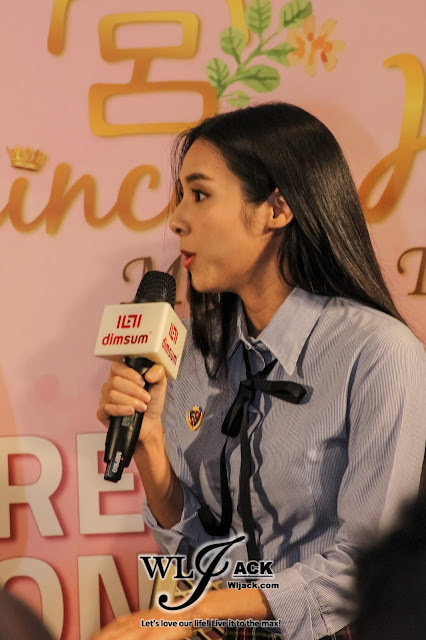 Pattie Ungsumalynn Sirapatsakmetha who plays Princess Kah Ning is on the other hand a popular Thai actress who has appeared in many movies and television series before. 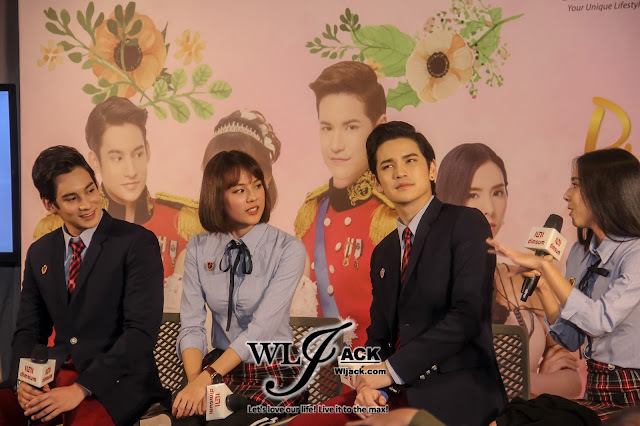 Stephane Saisean Pagniez and Thanchanok Ritnaka also mentioned that they are very happy for this collaborations.Stephane Saisean Pagniez mentioned that one of his most memorable scene would be the scene whereby Pattie first met him in the drama and spit on him in that scene! Apart from that, they also expressed their joy to be able to come over to Malaysia for this tour to meet the fans! The Casts’ Thoughts on This Version vs The Original Korean Version! 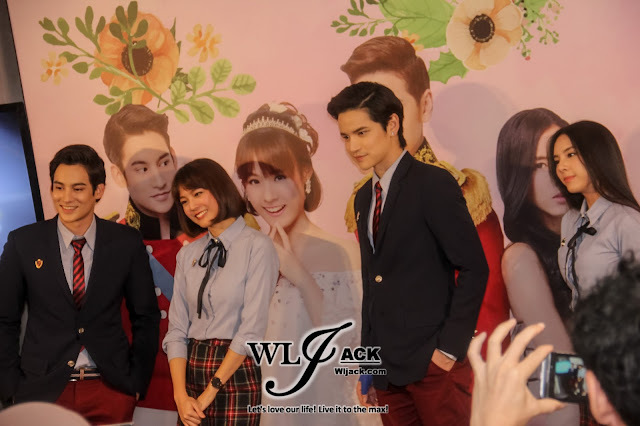 Without any doubts, the team have used the original Korean Version as a strong reference in the remake production of the drama. However, the casts mentioned that since it is a Thai Adaptation, many changes have been made based on their local cultures and also the latest norms like social media and etc. When mentioned about which version would be better, all four of the casts members were supportive to both version. Well, we shall catch the drama in dimsum and find out then! Apart from the press conference, the casts also had a private fanmeet event held on 8th July 2017 and a public meet and greet with fans on 9th July 2017, 3pm at Sunway Pyramid Shopping Mall. 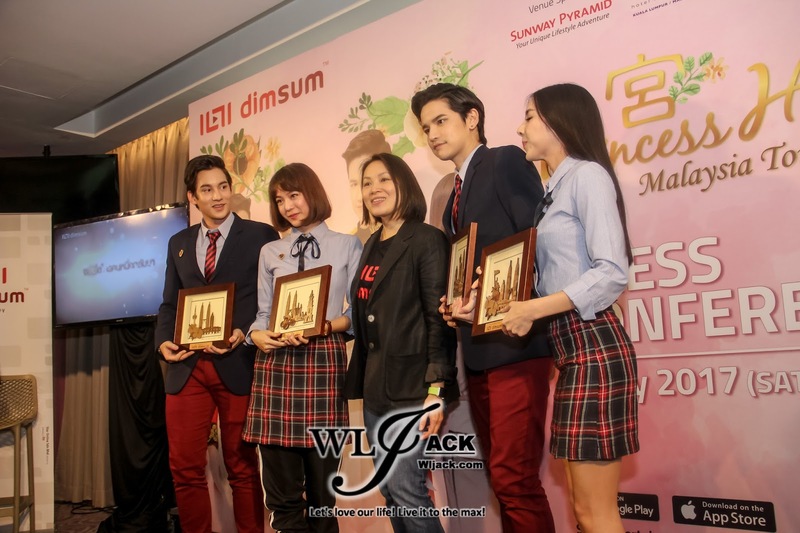 Princess Hours Malaysia Tour is organized by dimsum, supported by official venue Sunway Pyramid, official hotel Capri by Fraser, KL Malaysia, official radio Suria FM and supporting radio 988. Special thanks to Grab, M&M and Pappa Delivery and Tuk Tuk Cha. 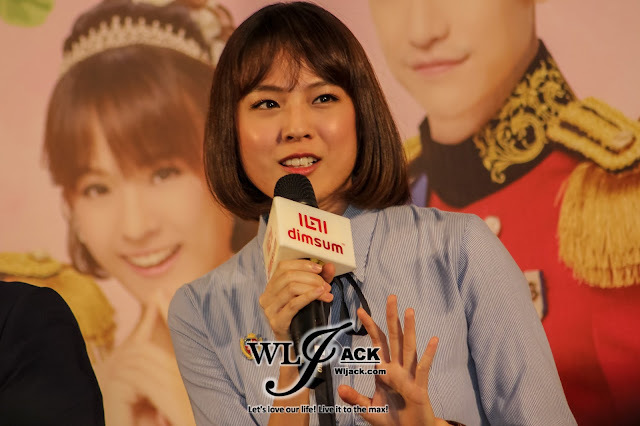 dimsum will also be premiering more hit Thai Series in the near future. dimsum is currently available in Malaysia and Brunei, supporting Chromecast and Airplay for subscribers to binge-watch all on TV, with subscription priced at only RM 15 a month. You may download dimsum app from Apple App Store or Google Play Store or stream directly from dimsum.my . 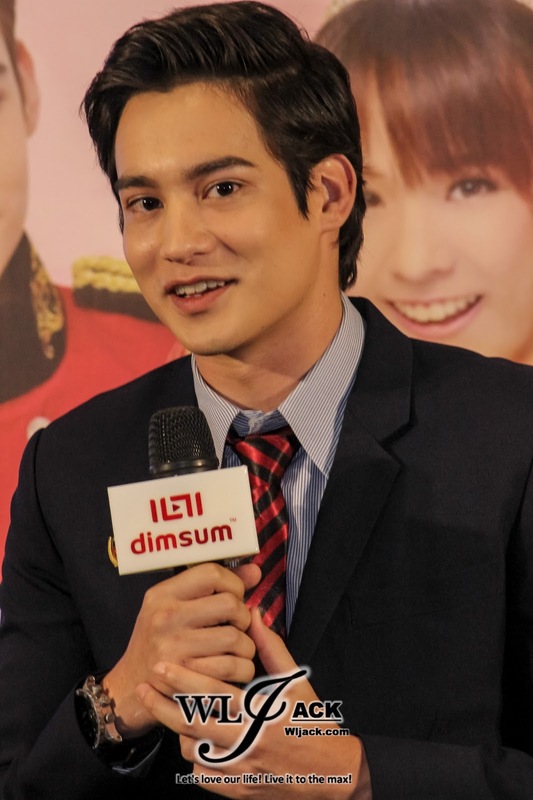 For more information, visit dimsum.my, dimsum official Facebook page (http://www.facebook.com/dimsum.my) or Instagram (@dimsum.my). Covered and photography by WLJack.